The 88th edition of Pitti Uomo has come to an end. It’s been a record-breaking edition of the leading international men’s fashion fair. More than 30,000 visitors in total visited Pitti Immagine Uomo, and the foreign buyers continued to grow +6.5% at this edition. The international fair dedicated to all the menswear trends reconfirm its worldwide value and registered a rise compared to the June 2014 edition. 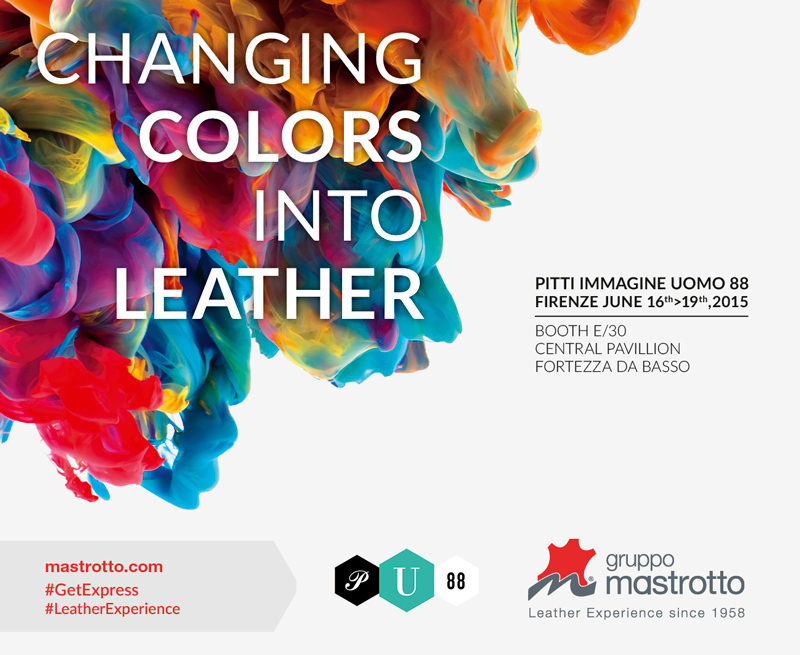 Gruppo Mastrotto took part to this successful edition expressly creating a project named “Changing Colors into Leather”. This concept is the expressive outcome of creative research into the concept of color applied to leather, the context in which Gruppo Mastrotto develops its innovative Gruppo Mastrotto Express service offering stylists and designers over 900 colors, always available in stock and ready to be delivered, even for small quantities. We also carried out a special installation right in the middle of the Central Pavilion, the star designed by Oliviero Baldini, has been created with multicolor hides chosen among our collections. Watch the making of. The concept created expressly for Pitti 88, Changing Colors into Leather, included an inspirational video, consistent with the color applied to leather theme.